Palak becomes yummier with the addition of paneer to it :) Some cheese and fresh cream topping makes it richy rich :) Forget your weight gaining sins and freak out with this delicacy. Chop palak finely and cook it along with moong dhall in the pressure cooker adding some water to it. Chop onions and tomatoes roughly and peel garlic. Now heat 1 tblsp of oil in a pan and add garlic, chopped onions and tomatoes and fry for few minutes. Allow it to cool and grind it along with the cooked dhall and palak. Keep the salt level a little low in the gravy since the cheese that is added at the end contains salt too. Hotel versions skip the use of moong dhall and hence it is optional. You can serve finely cut onions and a slice of lemon along with it. 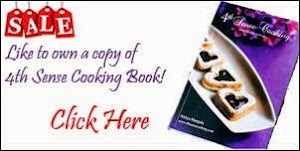 I am happy to send my Palak Paneer, Creamy Muttar Paneer and Patriotic skewers to "Lets relish - Paneer" event by versatile blogger Jay of Tasty Appetite. I totally forgot this paneer dish, thanks for reminding. Looks very nice and addition of moongdal is new and will give a nice texture too. My alltime favourite. Laying in my draft for a loooong time. Nithi .. been green for a while haan ? .. addition of moong dal, cheese, amchur powder is totally new to me . Will try it .. amazing pictures .. Wonderful clicks as always... Delicious palak paneer too.. 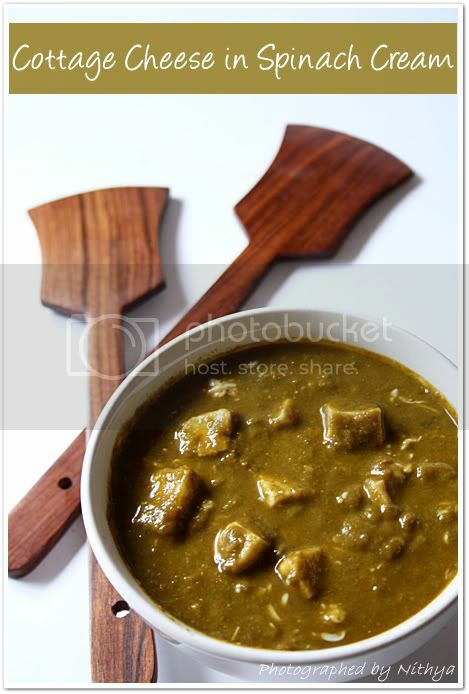 Even I have not tried this palak paneer at home,soon I am gonna try,sounds great! One of my favorites..Looks great Nithi ! Awesome clicks !! slurrrrrrrrrrrp My favourite dish and it looks very tempting. what a creamy, dreamy dish. TH's fave!! Love the dish and love the mask! 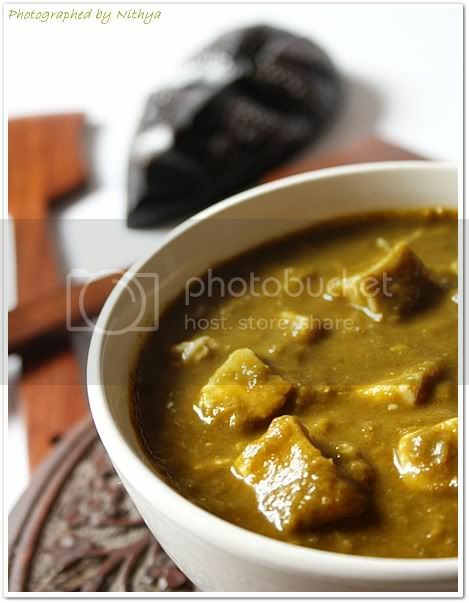 Palak paneer looks delicious. I like them a lot. Love both palak & panner..great combo! !simply superb. palak paneer is my favorite too ..looks awesoem ..but addition of moong dhall is very new to me ..
Moong dhal in Palak Paneer sounds new. Looks delicious and love your pics. wow, love your presentation dear. 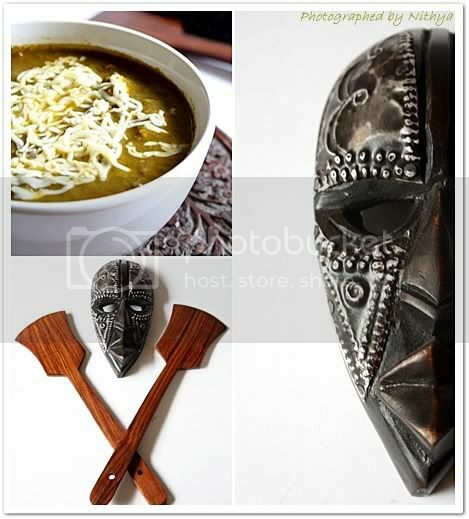 Love the spoons and the mask. I actually collect masks and went totally crazy buying masks in south africa. Awesome clicks!! Inviting palak panner.Adding cheese i have not tried, sounds Yum!! 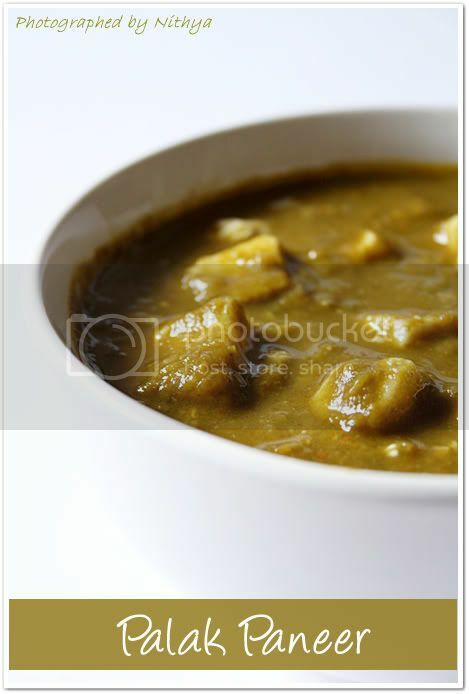 Healthy paneer recipe... A great entry for my event...! Thanks a ton for your loving support ...!! Looking forward more of your yummy specials too..! 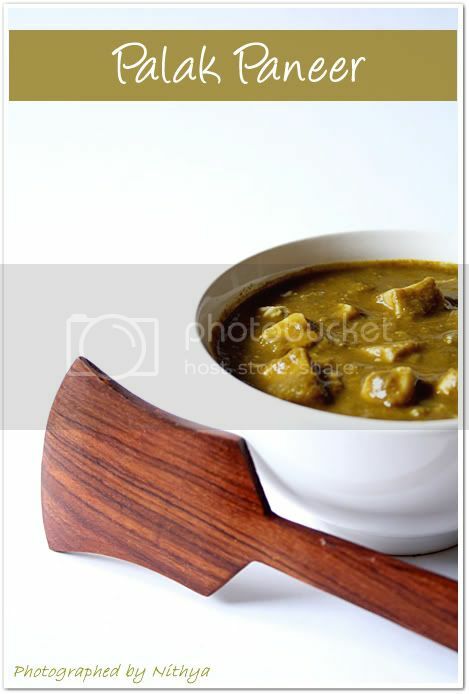 Love palak paneer..Fabulous pictures as usual..
Palak Paneer looks super creamy Nithya. I do believe all the ideas you've introduced on your post. They're really convincing and will certainly work. Still, the posts are very short for starters. May you please prolong them a bit from next time? Thank you for the post.